Red-spotted snakes are almost too beautiful for words. They are not too beautiful for breakfast, apparently, at least not if you’re a hungry bittern. 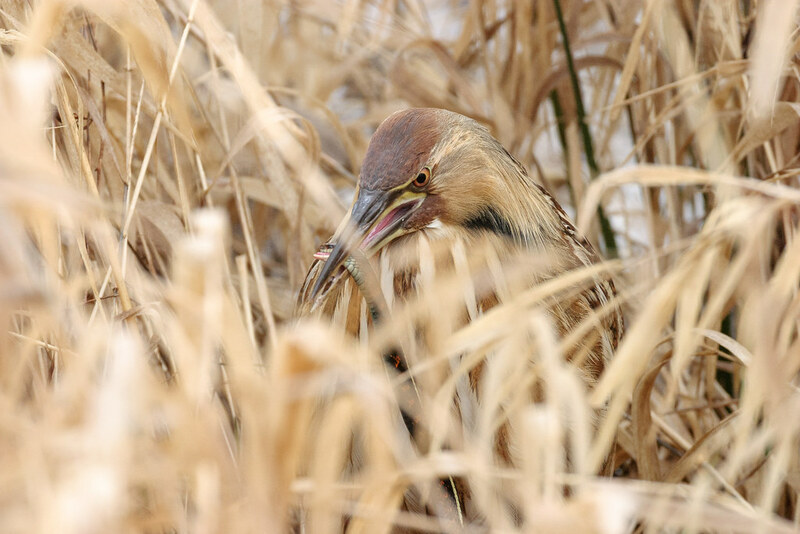 I came across this bittern after it had captured a red-spotted garter snake early one morning. It killed the snake by applying pressure with its beak, often to the snake’s head. The snake was already bleeding a little bit and not putting up much of a fight. While it adjusted the snake’s position in its beak from time to time, it never let the head get too far from its beak so the snake couldn’t swing up and bite any soft tissue. It took a while for the snake to die, this shot is from right at the end of the snake’s life, it went limp after this final crushing of its head. The bittern made sure the snake was dead before swallowing it by thrashing it around. Probably a good idea when your breakfast can bite you back. This entry was posted in Birds, Reptiles and tagged American bittern, auto tour, red-spotted garter snake, Rest Lake, Ridgefield National Wildlife Refuge, River S Unit, Washington. Bookmark the permalink. ← I’ve Created A Monster! A Monster!